Last Saturday was my husband’s birthday. I needed to be at work the whole day, so I wanted to make him a cake to make it up with him. He wouldn’t have mind really; it was more for me so that I wouldn’t feel so guilty of not being available. Isn’t it so that in order to show your sincerity, when giving something you must give something that is precious/meaningful to you? 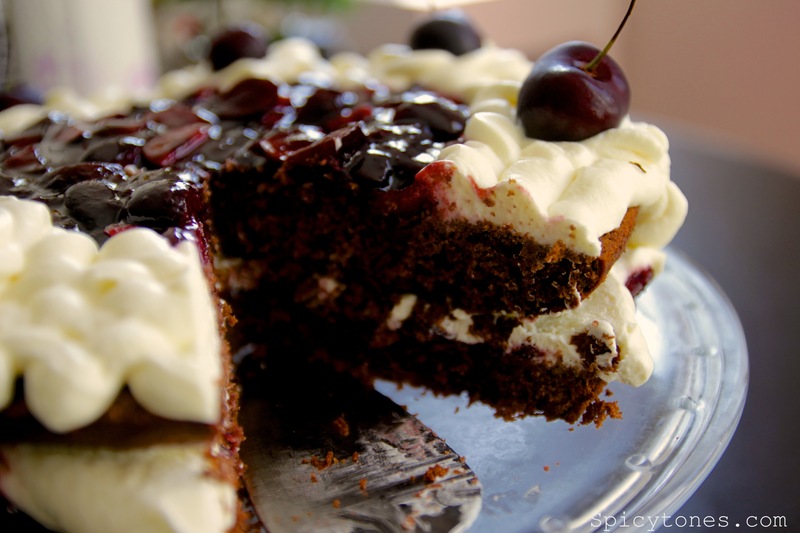 So I decided to give Black Forest cake. And I’m gonna tell you why. My sister and I were raised by my grandmother in a village in our childhood and we met our mom a few times a year. 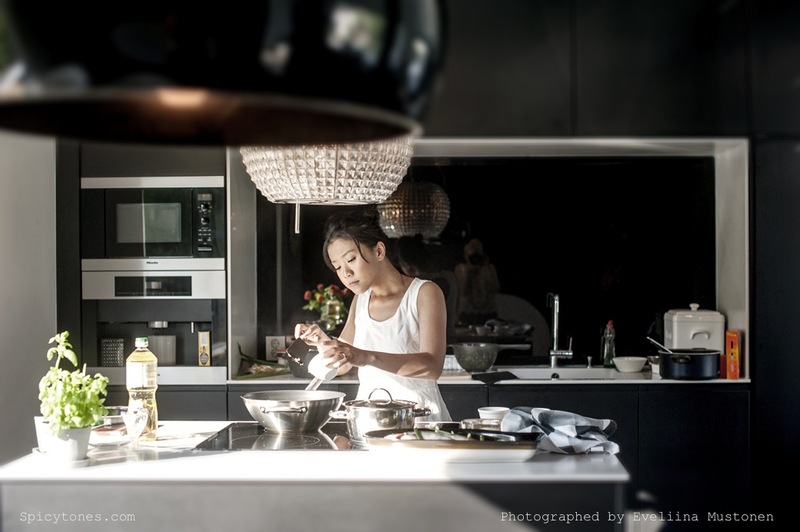 She was occupied by her work, traveling around places to make money to support our living. We missed awfully much of her most of the times. I remember there were a couple of times when my mom was around to celebrate my birthday with me. And that was one of those times when I ever got out of the village. Standing in front of a selection of colourful, beautiful cakes in the bakery, how fancy! 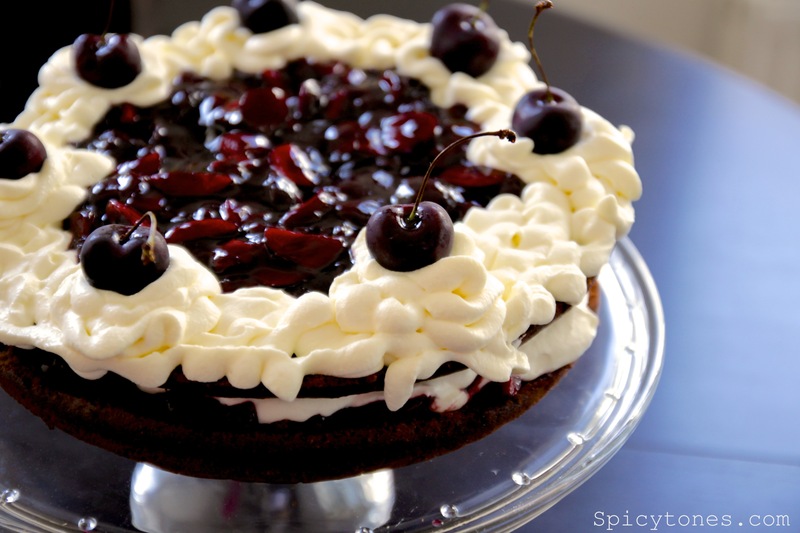 I was offered to choose what I like, and there was always this Black Forest cake that caught my eyes. It has always been there on the shelf, in any bakeries, looking elegant and expensive, very ‘grown-up’ as well if you know how I feel. 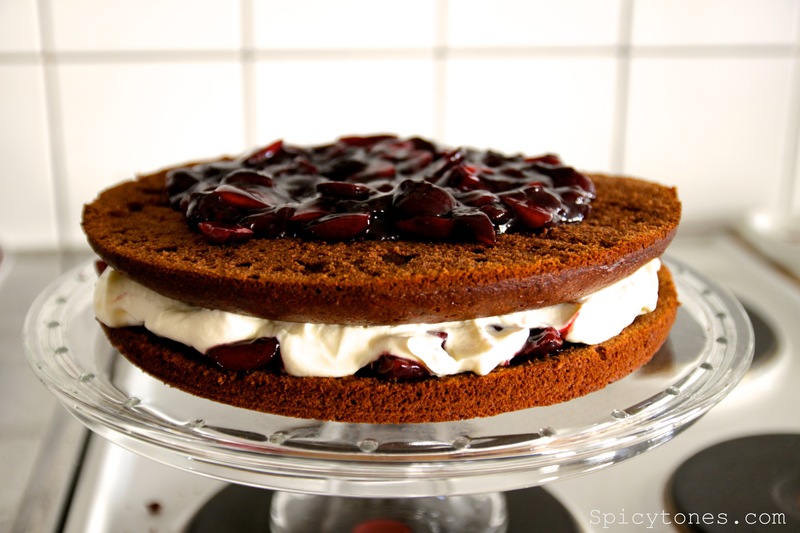 That was what i’ve always wanted, but I never dared to pick the Black Forest cake, because I thought that it would be out of my mom’s budget for my very small birthday party. Even though it looked extremely tempting as always; and as high priced as always. I ended up picking those spongy cakes with candied house on top, because I believed that those kinds are the ones for a kid like me. I was between 5-8 years old. 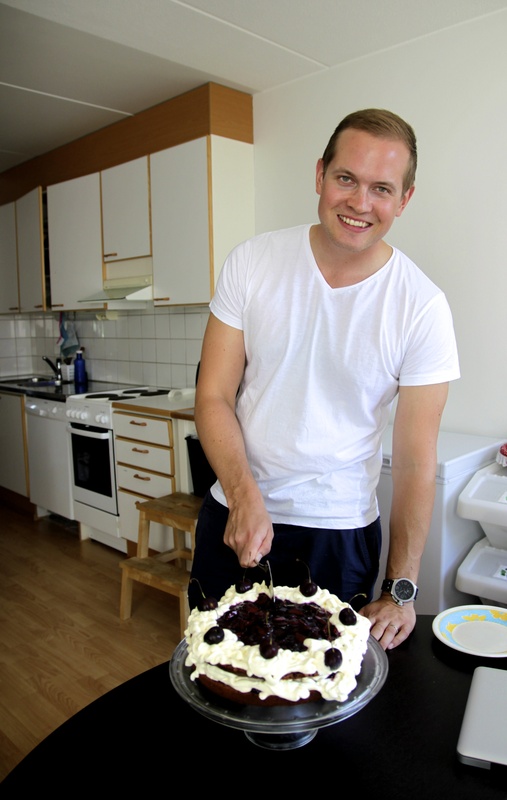 Life is so much easier when you are a grown up, definitely, at least now I can make my own cake! 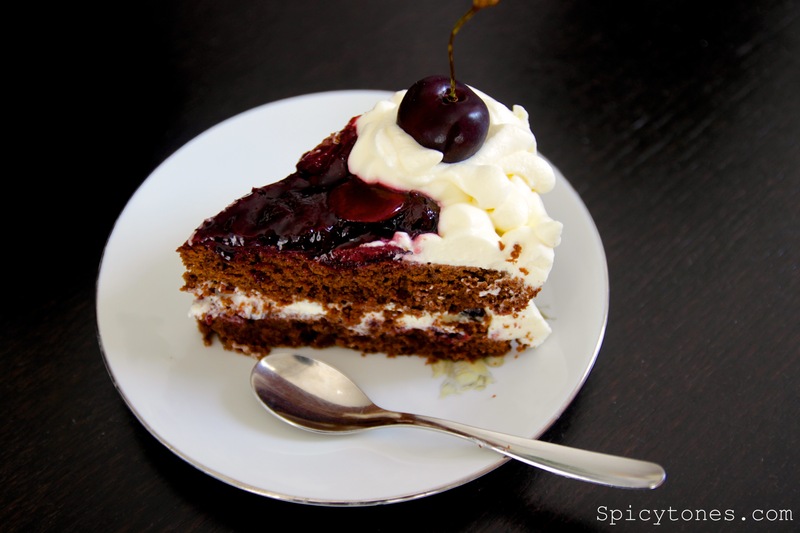 I don’t remember when was the last time I tasted Black Forest, for sure it was more than 10 years ago! But I remember when the cherry jam, chocolate and alcohol lingered in my month, wow it was so surprisingly good! 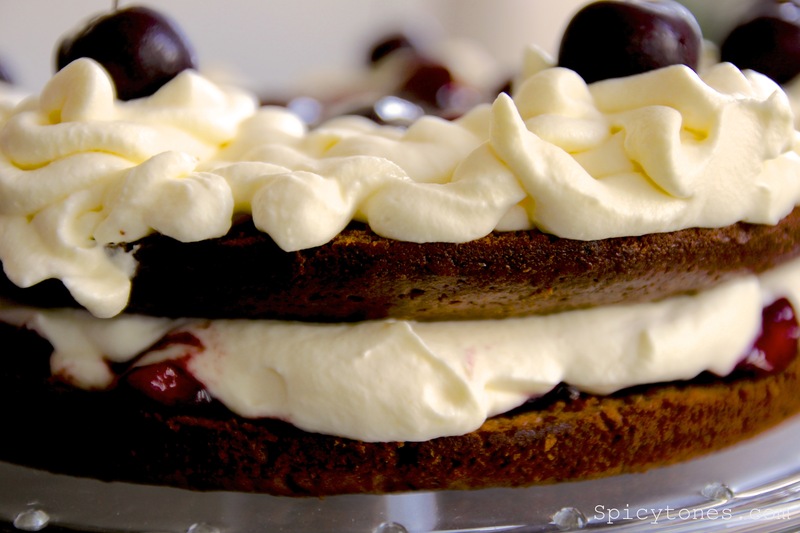 My version of Black Forest is not as sweet as from the bakery, but I like it more this way. 1) Preheat oven to 175 Celsius. Melt chocolate and butter in microwave for a few seconds. 2) Beat in sugar, then mix in egg yolks one by one. 3) Add in flour and baking powder. 4) Beat egg whites with salt until shifted. Fold into the mixture with spatula. 6) Keep completely cool. Then cut horizontally into 2 layers. 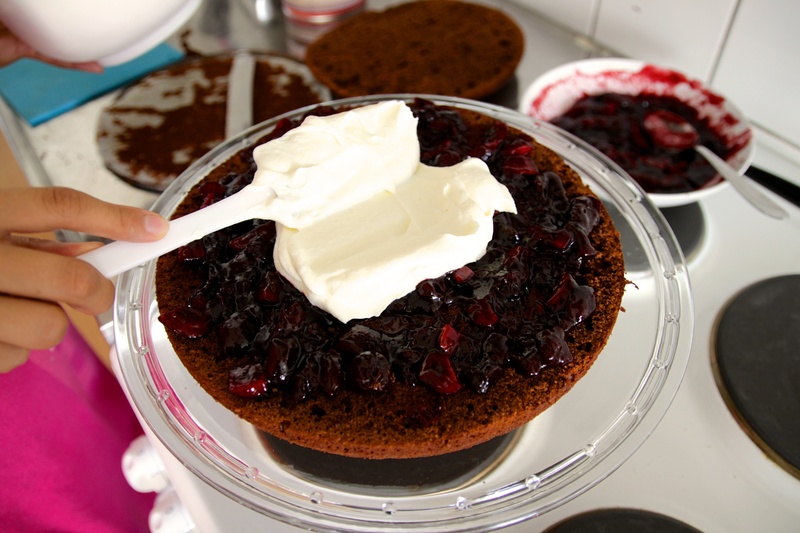 7) Spread one layer of the cherry filling( see below) on the first layer of cake, and spread whipped cream on top of it. Then place the second layer of cake on top. Spread cherry filling and whipped cream again( and at the side if preferred). 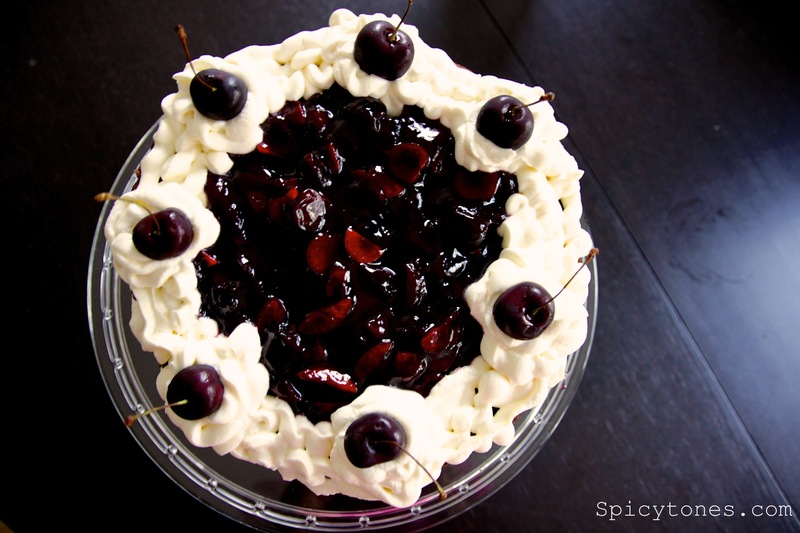 Decorate with whole fresh cherries. 1) Remove seeds from fresh cherries and cut them into smaller pieces. 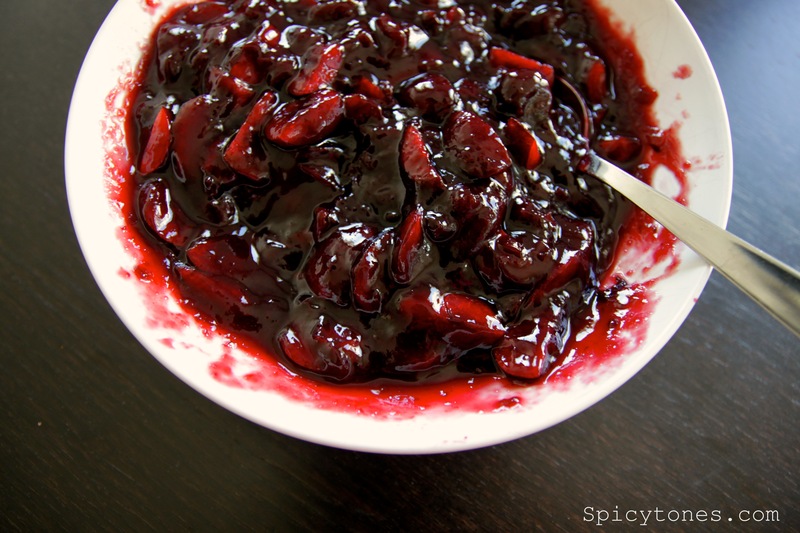 2) Mix in brandy and cherry jam, set aside. 3) Whip cream until shifted and fold in sugar, set aside.